Browse our selection of apartments in Puerto del Carmen. Puerto Del Carmen is situated midway along the beautifully warm southerly coastline of the island, just a short distance from the sole island airport at Arrecife, making it an ideal spot for anyone searching for holiday apartments in Lanzarote. Alternatively, view our range of Lanzarote villas if you would prefer larger rental accommodation. 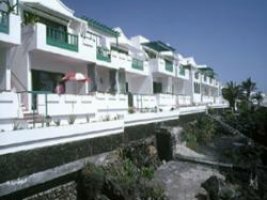 As the most established resort on the there is an excellent choice of apartments in Puerto Del Carmen to choose from. Ranging from self catering studios to well appointed family holiday apartments. Most of which are located on well established holiday complexes boasting plenty of amenities, such as heated pools and manned receptions. Browse our selection of holiday apartments in Puerto del Carmen below. Las Acacias offer good value apartment accommodation in the centre of Puerto del Carmen. Spacious apartment that offers comfortable accommodation located in a central part of Puerto del Carmen. Three bedrooms, two bathrooms, sleeps up to six people.